Under LB82, introduced by Henderson Sen. Curt Friesen, NDOT could apply for pre-approval to use practical road design standards that might not meet all current statutory design standards, but that would provide significant benefits to users at a reasonable cost. Friesen said the bill would streamline certain NDOT processes and allow more flexibility in road design. “This would help us stretch our finite dollars to complete much needed road improvements,” he said. The bill would allow the department, counties or municipalities to apply for programmatic pre-approvals, which could apply to an entire category of roads projects that are materially similar. 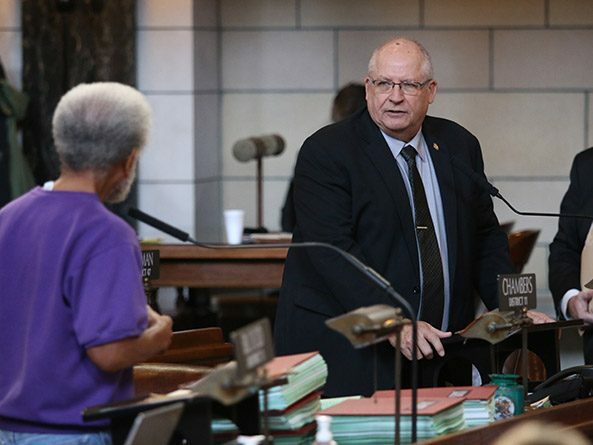 LB82 also would allow each county and municipality to electronically certify completion of one-year and six-year road improvement plans required annually by state law, rather than submitting hard copies of both plans to the Nebraska Board of Public Roads Classifications and Standards. The certification must be included in the county or municipality’s public record and be adopted by its governing board. Senators advanced the bill to select file on a 41-0 vote.